all natural cold process goat milk soap made from locally sourced goat milk and a variety of oils. Goat milk shampoo bar, goat milk FACE soap and judith's goat milk soap for extra dry skin. 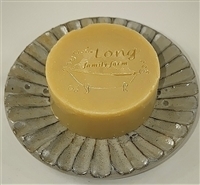 Our shampoo bar is now made with goat milk and argan oil!